Thanks to this list of mid-century modern address numbers I was able to find a second source for the mid-century address numbers I was looking for, Unica Home. 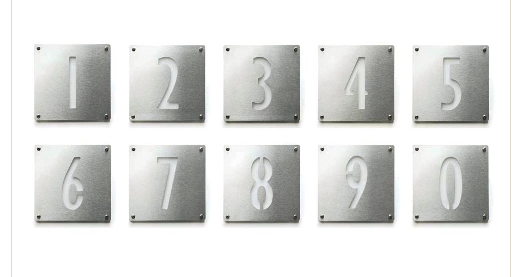 I also found out that they're called Plane Numerals and were designed by Tom Gordon and Ted Pierson. Not wanting to make the same mistake twice and wait till the numbers I need are out of stock, I ordered them today. So my plan to recreate modern Eichler address numbers is back on.